Every element, small or large, contributes to the success of your wedding. 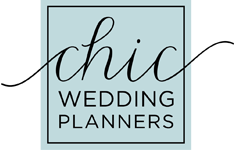 Chic Plan combines our creative knowledge, sense of design, extensive project coordinating skills, meticulous attention to detail, insight in the best vendors in the city and our overall knowledge of weddings. We help you create the budget, determine the perfect look for your big day (think colours, flowers, stationery and everything beautiful! ), coordinate and attend all appointments and help you choose the best vendors who will fit your style and budget. From there, we will create the timeline for your big day, oversee the rehearsal, and make sure that your wedding day is absolutely flawless. We will be there from the first meeting to the last dance. This service offered by Chic Wedding Planners is tailored to each client. We ensure that your vision is brought to life beyond your imagination, creating a most memorable event. Chic Day is designed to help you tie up any loose ends closer to your wedding day. You plan the wedding and we take care of the details and manage the whole day for you, so you can sit back and enjoy. This service includes four pre-wedding consultations, where we review vendor contracts, create your wedding day timeline, visit your venue with you, attend your rehearsal, and be there every minute of your big day, making sure everything is exactly how you envisioned. It doesn’t end there! While you are dancing the night away, we will make sure all your gifts make it home safe, make sure all your vendors are taken care of, and we will be there in the wee hours of the morning to make sure nothing is left behind. Most importantly, you can relax knowing you have a team of experts on your side, making sure your day is flawless. If you are like us, you are officially obsessed with Pinterest, Wedluxe & Grace Ormonde. There are so many amazing, creative and unique ideas out there, but it's knowing which ones to choose and which one will go with your overall look that's key. Chic Style will help you sleep at night knowing your wedding will look absolutely gorgeous. This service is designed to help our clients who enjoy the planning part but need that extra help tying in the prettiness and the details. Creating countless boards on Pinterest will give you many ideas, but we will help you determine what ideas go together, what can be done within your budget and we also throw in a few of our own creative ideas in the mix. We will create a beautifully tailored wedding design, guide you to the best vendors (we also attend these meetings) and ensure it's fully executed on your wedding day. This service is only available with Chic Day. We love design and creating beauty. Looking for help in pulling looks together for photoshoots? The Chic girls each bring a unique design element to our collaborative projects. This service includes creating a unique setting and staging for a specific shoot. For more information and fees, connect with us and we are happy to talk it over with you!